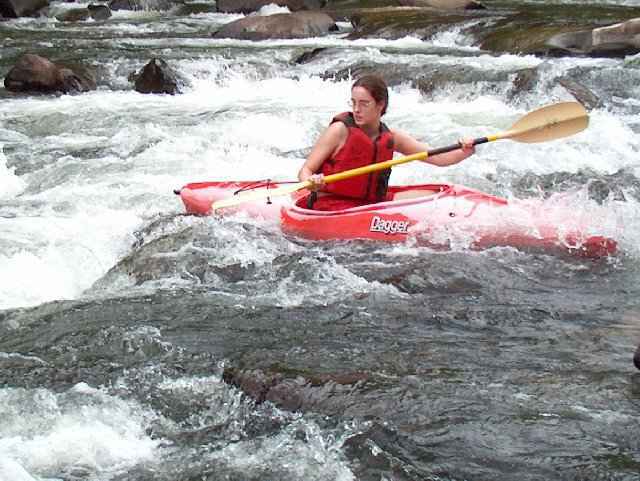 Alicia Jahsmann achieves the best solo women's time in 2004. 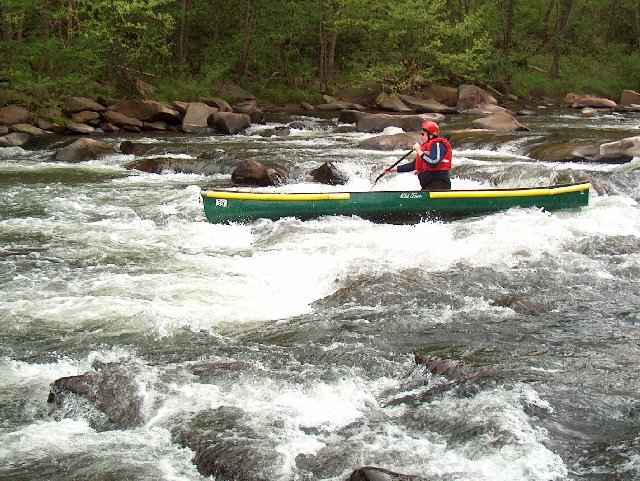 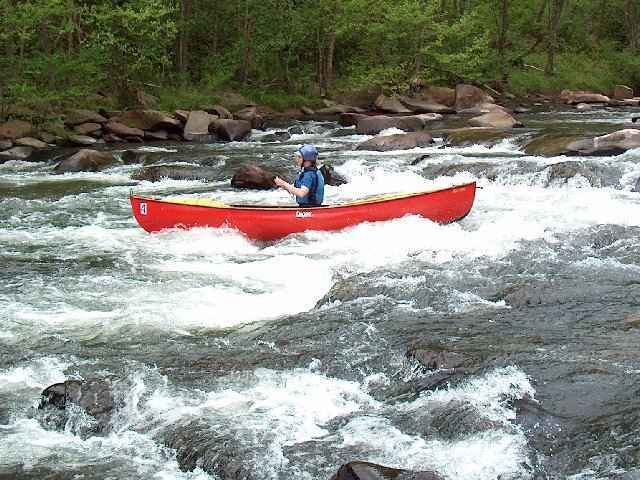 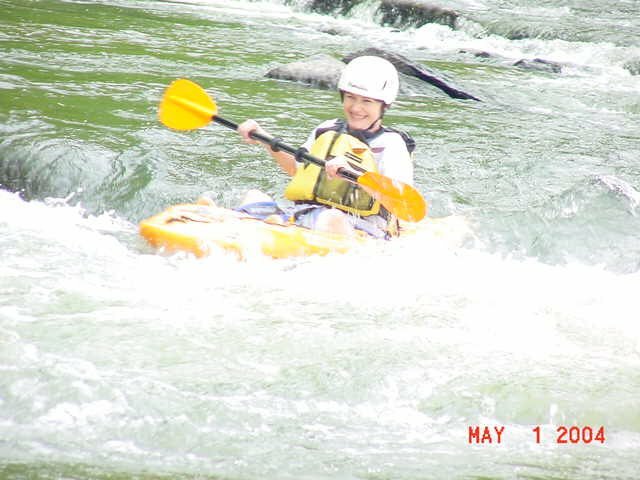 Alicia is known throughout the Commonwealth as a top whitewater canoeist. 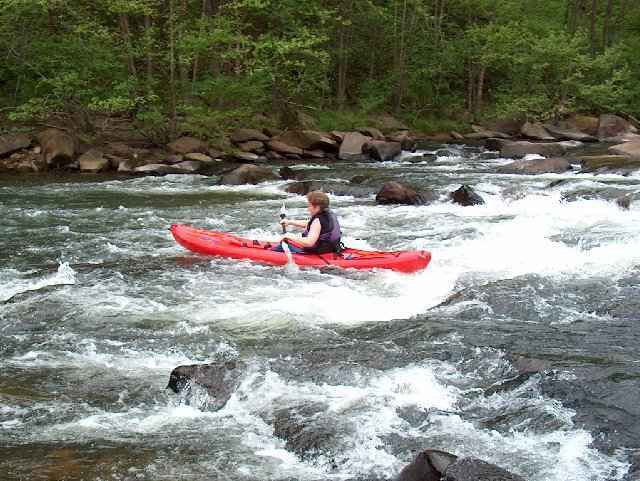 JoAnn White proves her mettle by making two 7.5 mile runs in one day. 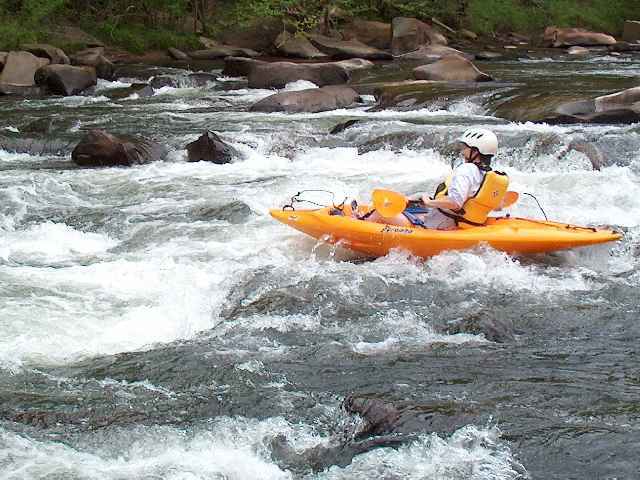 Kayaks can be paddled in forward or reverse. 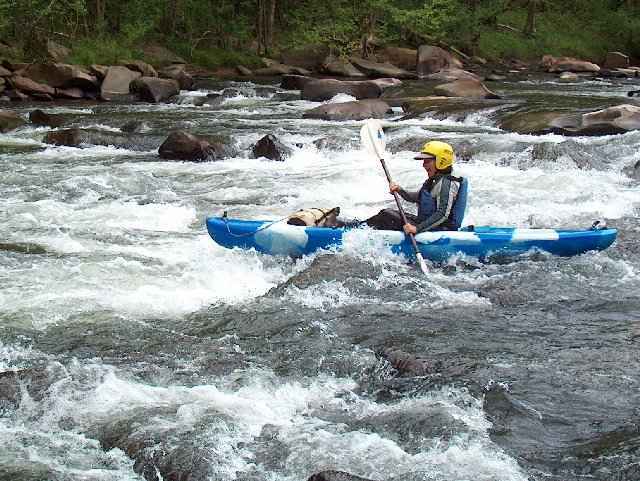 Gene Demsky is engulfed in glistening whitewater.